Jerry and I tend to get into one show at a time and watch until it’s over. Some might call that binge-watching. I like to say we’re just efficient. When Oscar was a newborn we watched 5 seasons of LOST 3 to 4 episodes at a time in about 3 months. We were hooked. We were LOST junkies. And then the finale ruined our lives and we didn’t watch another show for months. True story (shakes fists at Damon Lindelof). Because of our bitter hiatus, we happen to be several years behind the rest of America when it comes to television. This is why we love the growing availability of awesome streaming content on Netflix. This month, however, we decided to stay only a few weeks behind the rest of the world and start watching Marvel’s Daredevil! This Netflix Original Series has already taken the internet and Marvel fans alike by storm. Many of our friends watched the entire series in a weekend, so now might be a good time to jot down the numbers for your favorite takeout places if you plan to check it out any time soon. 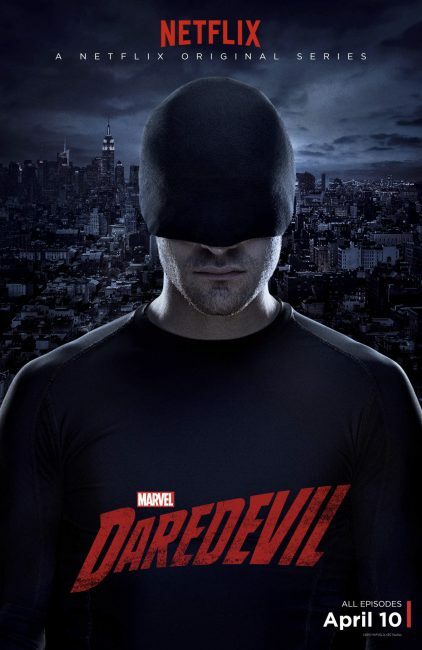 Marvel’s Daredevil” is a live action series that follows the journey of attorney Matt Murdock, who in a tragic accident was blinded as a boy but imbued with extraordinary senses. Murdock sets up practice in his old neighborhood of Hell’s Kitchen, New York where he now fights against injustice as a respected lawyer by day and masked vigilante at night. The first episode drew us right in and got us excited for more. A good comic book superhero story never gets old. This show feels like you are watching a movie, which is pretty incredible. There is intrigue, humor and good old fashioned street fights. What’s funny is, even though this show has only been out for a couple weeks, I still feel like we are the last ones to see it! I’m ok with that, because it just means we have more awesomeness to look forward to. Just remember, this show is not for the kids. But that’s ok! There are plenty of other options this month for them to enjoy. That being said, if you need us in the next few days, we’ll be on the couch. Have you watched Daredevil yet? What did you think? 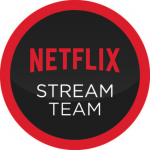 This post is part of my participation in the Netflix #StreamTeam. All opinions are my own. Thanks for reading!